Congressman John Conyers - who retired today after sexual-misconduct allegations surfaced last month - has endorsed his son, John Conyers III, for the seat he's held for over 50 years. 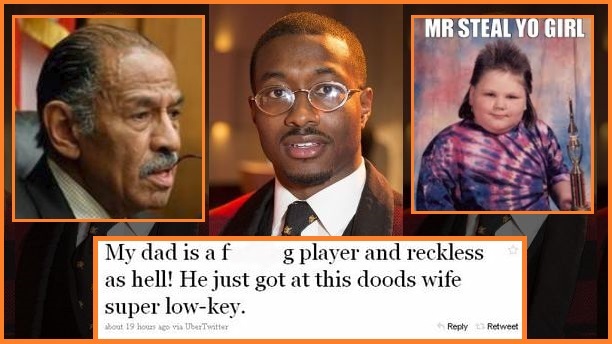 In a now deleted tweet, the younger Conyers - who has since deleted his Twitter account - bragged about his father's infidelity with a woman who was also married - stating "My dad is a f*cking player and reckless as hell! He just got at this doods wife super low key"
The identity of the woman Conyers Sr. apparently 'got at' - as well as the dood in question are unknown.